I ain is an Orthopaedic Surgeon specialising in the treatment of painful or debilitating conditions of the shoulder, elbow and wrist. He lives in East Lothian and works as a Consultant in the internationally renowned trauma unit at the Royal Infirmary of Edinburgh at Little France. He graduated from Glasgow University Medical School in 1997 where he also completed a BSc in Physiology and Sports Science. Iain completed his surgical training in Trauma and Orthopaedics in the West of Scotland. He has worked as the Team Doctor for the Scottish Football Association at home and abroad. Frozen/stiff shoulder - Arthritis of the shoulder - Rotator cuff tears - Tennis/golf elbow - Sports injuries - Wrist fractures - Upper limb soft tissue and nerve injuries. 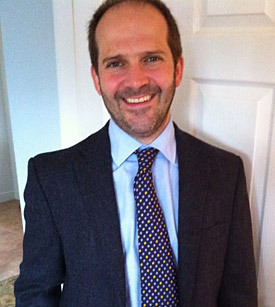 Iain holds regular clinics at Spire Shawfair Park Hospital and The Edinburgh Clinic. Most surgery is performed at the Spire Shawfair Park Hospital, however some procedures can take place at Spire Murrayfield or the Edinburgh Clinic. Day surgery using keyhole techniques (arthroscopic surgery) is available. Injection Therapy - useful for narrowing down a diagnosis of painful conditions. Also used very successfully for pain relief and treatment. Physiotherapy - most upper limb conditions can benefit from a course of physiotherapy. Iain can refer you to an appropriate physiotherapist and work with them to help you achieve the best outcome for you. Ultrasound and MRI Scans - Iain often uses these scans to assist in getting the correct diagnosis for your treatment plan. Keyhole Surgery - useful for shoulder repairs. Keyhole techniques can be performed in a day and usually do not require an overnight stay in hospital. Surgery - Iain performs Total Shoulder replacements, Reverse Geometry Shoulder replacements, shoulder stabilisations, tendon repairs and other procedures. It is likely after any surgical procedure that you will be offered a sling and asked to rest until your shoulder feels able to move again. 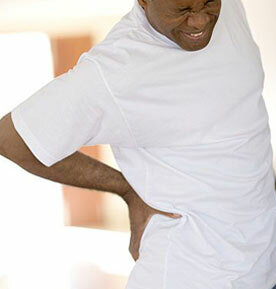 Medication can be prescribed for pain relief. For repair procedures it is likely that you will be asked to rest for four weeks. After this period of rest you can be given physiotherapy exercises. Most patients choose not to drive for the initial six weeks following their operation. You will be given appointments to see Iain at his clinic to ensure that you are happy with the progress of your rehabilitation and recovery. I ain will work closely with physiotherapists and other healthcare professionals to get you the best care possible. He is fully supportive of any treatments you may find useful in managing your condition such as acupuncture, yoga/pilates, massage and chiropractic intervention. Individual choices are an important part of your recovery and the most important outcome for Iain is that you feel happy with the treatment plan you are following. If you are considering treatment in the private sector this can be funded by Healthcare Insurance (if you have it) or you can choose to pay individually for any treatment you receive. Whichever option you decide upon it is helpful to have a referral letter from your GP practice which sets out your relevant medical background and is addressed to the specialist you would like to see. Once this referral letter has been received by Iain’s clinic the admin team will contact you to arrange a suitable appointment time. If you have private health insurance it is useful to contact them directly to check that your policy can cover the cost of the appointment and any subsequent treatment. Your provider may give you a pre-authorisation code to confirm that you are covered. Details of treatment costs can be provided by contacting Edinburgh Orthopaedic Specialists. Iain is approved by BUPA, AXA PPP, WPA, AVIVA, VitalityHealth (formerly PruHealth). Some treatments do not require a referral letter from your GP. Please contact your health insurance provider to check whether they can refer you directly to Iain.